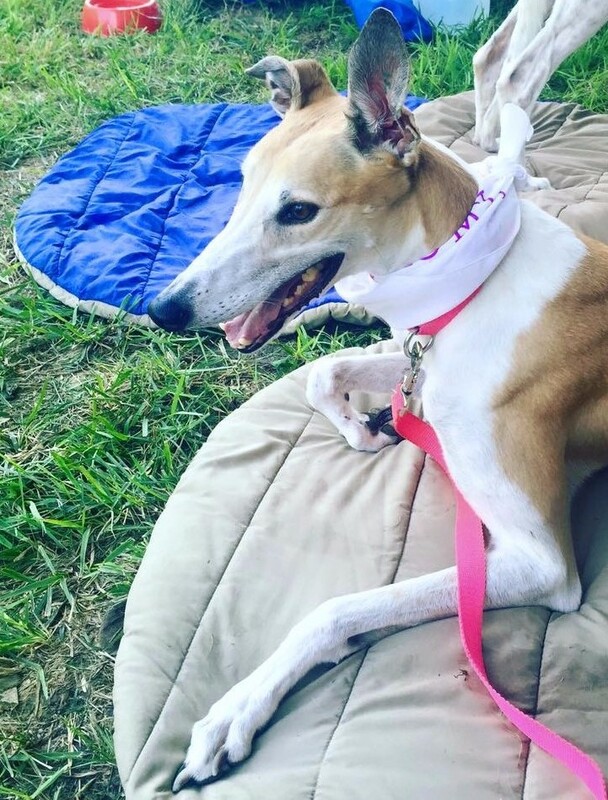 Have you wanted to know what having a Greyhound is like but can’t make the long-term commitment? Then fostering might be for you! This is your chance to give a very special dog a temporary home until his or her forever home can be found. For more information about fostering, please contact our Foster Coordinator. If you would like to apply, please fill out the Foster Application Form and we’ll get in touch with you. How long will I have a foster dog in my home? Can I choose which dog I want to foster? How do my foster dogs get adopted? The average amount of time is 2 months but depends on the dog’s needs from a home and the foster home’s ability to get them out to meet the public. There are pros and cons to this question, so we recommend that you provide an area in your home that can be completely separate, and easily cleaned. Each situation is unique, so we will evaluate this based upon the home structure, and the individual foster animals. Ultimately, it comes down to the best interest of all of the animals involved. Absolutely! Our goal is to compatibly match you with a dog that you feel comfortable with and enjoy. Ultimately, it does not benefit you or the dog if you feel overwhelmed. We will sometimes ask you to take a specific dog based on your specific home environment. You are always welcome to say no or ask for a different dog. Life happens to all of us, just let the coordinator know. We often will transfer dogs among different homes to help each other, and the pups! Many of the animals that need fostering can easily be accommodated on a normal schedule, and is a factor we consider when looking at compatibility. Ultimately, most animals once adopted, will reside with people that have working schedules, and by becoming accustomed to these routines in a foster home, can make that animal much more adoptable. The financial cost to foster a dog through our program is minimal, usually your own transportation costs. We provide all of the supplies (although sometimes you may have to ask us for them), and all medical care is provided through our Vet Clinic. Personal expenses are tax deductible. We use the adoption application and home visit to help identify dogs that would be the best match for the family. If your dog fits a family, you will be contacted and may be asked to participate in introducing your dog to the family.